Home > End of the Melting Pot? 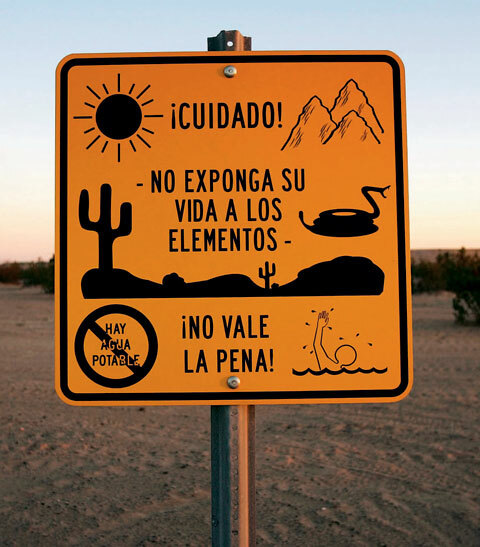 Near Winterhaven, California, an official sign faces south to warn illegal immigrants of dangers in the desert trek—heat, rugged terrain, rattlesnakes, lack of drinking water, a chance of drowning in a nearby canal—adding that it is not worth the risk. The conflicts simmering in Gainesville and elsewhere across the nation raise questions about the United States as an immigrant society. Will the current tide of poor, low-skilled Hispanic labor migrants (legal or not) gradually blend into the American mainstream like their European predecessors? Or will they remain a growing but segregated population, marginalized by race, class, language, and culture? Has this country’s capacity to absorb the most vulnerable foreigners diminished during the past 50 years, or are we simply witnessing the pains of transition to a new stage of American diversity? The research so far by Harvard scholars studying immigration offers reasons for hope and concern in almost equal measure. Between 1891 and 1920, an estimated 18 million immigrants, primarily from southern and eastern Europe, arrived in the United States with hopes for a better life. (Chinese immigration to the United States had largely ceased after the 1882 Chinese Exclusion Act; exclusion policies against Japanese began in 1900.) The majority were poor, non-English-speaking peasants who had only a few years of schooling. Their “invasion” of the country’s industrializing cities provoked widespread fears of social disorder and cultural pollution. Yet less than a century later, the descendants of these groups had become virtually indistinguishable from their fellow white Americans—those of Irish, German, and Anglo-Saxon stock. The successful Americanization of the “new ethnics,” as they were known in the mid-twentieth century, marked the defining achievement of the melting pot ideal and provided a standard for evaluating future immigrant groups. In a controversial 2004 book, Who Are We? The Challenges to America’s National Identity , Weatherhead University Professor Samuel Huntington offered a bleak prognosis for recent immigration’s impact on America. He argued that as assimilationist demands on immigrants have declined since the 1960s (with the rise of multiculturalism and “group rights”), immigrants have had fewer incentives to embrace an American identity: the extension of government benefits to noncitizens and citizens alike, for example, has diluted the significance of citizenship and deterred many immigrants from becoming naturalized Americans. Moreover, the rise in transnational mobility and dual citizenship has enabled many immigrants to remain emotionally and politically tied to their home countries, while living (and earning) in the United States. Huntington’s book spurred heated debate, with critics across the political spectrum objecting to its “monolithic” view of American identity and “alarmist” predictions about Hispanicization. Yet the comparative framework Huntington employed remains a useful tool for understanding the contemporary immigrant experience—and more specifically, for considering how changes in the paths to mobility and in the pace of immigrant flows over the past century have shaped the prospects of the newest Americans. This pause in immigration ended with the 1965 Hart-Celler Immigration Reform Act, which overturned the policy of racial preferences and opened the doors to large-scale immigration from the developing world. Since the late 1960s, the tide of newcomers from Latin America, Asia, and the West Indies has continued unabated, ensuring a constant replenishment of newcomers. For these groups, the noticeable signs of “otherness”—such as speaking a foreign language, occupational specialization, and residential concentration—have not dissipated as they did for their European predecessors, regardless of the degree of assimilation taking place in second and third generations. This formula began to break down with the onset of economic restructuring in the late 1970s. As the country shifted from a manufacturing to a predominantly service-based economy, working-class assurances diminished and inequality increased. During the 1980s, the average real wages of male high-school dropouts fell by 18 percent, and male high-school graduates suffered a more than 13 percent loss in real earnings. Only those with a master’s degree or higher saw an increase in inflation-adjusted earnings. The growing importance of professional skills in the new economy has meant that contemporary immigrants face a much steeper climb into the middle class. They must achieve in one generation what past immigrants took three or more generations to accomplish—namely, a college education. As Waters puts it, “The second generation must vault from their parents’ lower-level service jobs and education to a completed college [degree].” This harsh economic reality has raised the stakes for an immigrant’s journey through the school system. The focus of public schools in the late 1800s and early 1900s was to develop virtuous and hardworking Americans who would meet the requirements of a rapidly urbanizing society. In the words of a New York City school superintendent quoted in Graham’s 2005 book, Schooling America , the goal of school “is to teach an appreciation of the institutions of this country and an absolute forgetfulness of all obligations or connections with other countries because of descent or birth.” English language and literacy were paramount, along with basic arithmetic and a heavy dose of civic virtues. Schoolteachers and administrators understood that “a little but not much knowledge would suffice for most”—immigrants and natives alike. In the current immigration era, schools have a far more ambitious task to fulfill. “We’re now trying to keep in school for 12 years or more many people for whom this is an alien activity,” Graham says, “particularly given the language barrier.” As standard education has become more skills-oriented to meet the demands of the high-tech global economy, the student body has become more diverse in terms of national origins, parental background, and socioeconomic status. English fluency is no longer simply an end goal of schooling, but a requisite ingredient for academic success in high school and beyond. Schools receiving large numbers of immigrant students today face a daunting challenge, particularly given that many newcomers arrive in their middle-school years (or older) with weak educational foundations, making rapid English acquisition difficult. Moreover, for first-generation Hispanic children living in predominantly Spanish-speaking communities, there may be little pressure or need to use English outside the classroom. Claudio Sanchez, who reports on immigration and education for National Public Radio, contrasts his own experience as a Mexican immigrant attending high school in the Arizona border town of Nogales in the late 1960s with his observations of immigrant students around the country today. “In our generation, we had to lose Spanish to succeed,” he says. “The goal was to speak English without an accent.” Sanchez’s mother made a point of ensuring that her children retained Spanish, but she confined its use to the home. “She was adamant that we learn English fluently,” he says. Ironically, in recent decades, as schools have become less coercive and more accommodating in their approach to non-native speakers, they have run the risk of culturally ghettoizing the most at-risk immigrant groups. Sanchez describes how second-generation Hispanic immigrant students, who often feel “estranged from their parents and from the school culture,” find refuge and a sense of identity in second-language programs that physically set them apart from the rest of the school. “This can lock them into a losing niche,” Sanchez points out. According to recent statistics, Hispanic students make up 14.9 percent of high-school students nationwide—and 28.3 percent of high-school dropouts. Class, race, and ethnic-group resources play an important role in determining the paths available to immigrant youth as they navigate the culture of school. The American sociologists Alejandro Portes and Min Zhou have suggested that the strong kinship ties of Chinese immigrants (and, in a similar sense, the religious affiliations of Koreans) may provide the second generation with a protective advantage. By keeping children closely tied to the ethnic niche and allowing them to acculturate only selectively to the American mainstream, these communities may give their children a better means of getting ahead. 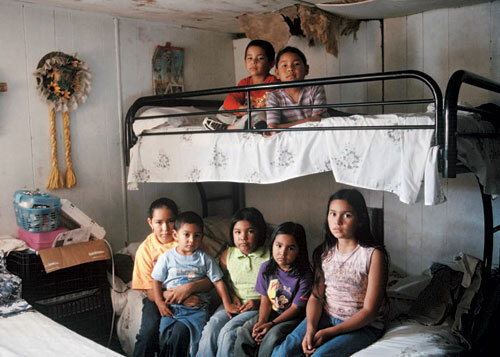 By contrast, Portes and Zhou argue, immigrant youth whose race and poverty link them to native minorities (inner-city African Americans and native-born Hispanics who have not done well)—and who simultaneously lack ethnic networks that can provide access to job opportunities—may experience assimilation as a path to permanent disadvantage. Regardless of how acculturated they become, these children may not even have the opportunity of gaining access to the white mainstream; Americanization for them may bring about their parents’ worst fears as they fall into an underclass with no chance for advancement. Given the formidable obstacles to upward mobility, the children of post-1965 immigrants nevertheless appear to be making surprising headway in the United States. In a forthcoming book, Second-Generation Advantage: The Children of Immigrants Inherit the City, Mary Waters and coauthors Philip Kasinitz, John Mollenkopf, and Jennifer Holdaway present the results of a decade-long study of second-generation immigrants in New York City. Relying on a combination of extensive face-to-face interviews and demographic indicators (such as educational attainment, employment, income, voting patterns, and religious affiliation), they present an internally heterogeneous yet predominantly hopeful picture of immigrant assimilation. On most measures of success, they find the children of immigrants doing better than natives of the same race. West Indians are surpassing African Americans, South Americans and (to a lesser extent) Dominicans are doing better than Puerto Ricans, while Russians and Chinese are on par with or are outstripping the achievements of native whites. Finally, Waters and her coauthors suggest that second-generation immigrants gain important life skills by virtue of their “betwixt and between” status. The respondents in the study had the ability to move between worlds, choosing which aspects of their parents’ culture to retain as they navigated the American mainstream. They didn’t succeed by remaining sequestered in the ethnic niche, nor did they fall into a downward assimilation trap through overly rapid Americanization, as earlier theorists had predicted. Instead, their cultural mobility gave them an edge in the highly competitive, multiethnic city. Yet Waters and her colleagues conducted their research in a highly distinct setting. New York City is a place where the mainstream is by definition multicultural, where identity politics thrives, and where having immigrant parents is common. Moreover, the survey did not include Mexicans, the largest immigrant group in the United States. The outlook seems less promising in parts of the country that have little or no prior experience with immigration, and where the term “immigrant” is largely synonymous with being Mexican and poor. The city of Yakima, Washington, sits two hours southeast of Seattle in the center of the fertile Yakima Valley, one of the nation’s largest fruit-producing areas. Large numbers of seasonal labor migrants from Latin America—and primarily from Michoacán, Mexico—began flowing into the area in the early 1980s. After the 1986 amnesty, many undocumented workers settled in the city permanently, and their family members soon joined them. Between 1990 and 2002, the Hispanic population of Yakima more than tripled—from 8,900 to 27,000—to approach nearly 40 percent of the total. By 2008, Hispanics will form the majority of the city. The ethnic transformation of Yakima has coincided with increased income inequality. While the agricultural elite actively recruits Hispanic laborers, both legal and illegal, many middle- and working-class residents fume at what they see as a growing tax burden. Hispanics currently make up close to half the student population in local public schools (up from 29 percent in 1991), and nearly 30 percent of Yakima’s students participate in a bilingual program. Longtime inhabitants blame newcomers for clogging the healthcare system, abusing welfare benefits, and fostering gangs. Abby Williamson, a doctoral candidate in public policy at the Kennedy School of Government, has been researching immigration’s impact on community relations in Yakima and other “new immigrant destinations.” She finds that the speed of demographic change is a factor in the speed of local integration. Because large numbers of new immigrants continue to arrive in Yakima, the perception of Mexicans as newcomers doesn’t change, even as Mexican Americans begin to integrate and take up leadership positions in the city. Williamson offers the example of a white working-class Yakima woman who had a childhood friend who was Latino. The woman says she never saw her friend as “ethnically different,” but—as immigration to the city has increased in recent years—she senses a change in herself. Now when she goes to Wal-Mart, she finds herself getting annoyed when Mexican women don’t move their carts out of the way. “I’m starting to think racially,” she says. In places like Yakima and Gainesville, Georgia, the constant replenishment of Mexican newcomers may threaten the progress of those who have been in the country longer. The work of Mahzarin Banaji, Cabot professor of social ethics in the department of psychology, has shown that people implicitly associate certain groups with negative or positive attributes (such as “American = white”) despite their own consciously held beliefs to the contrary. Because the “primitive” brain specializes in quick generalizations rather than subtle distinctions, people hold biases based on the broad patterns they see, rather than on individuals they know. The concentration of large numbers of newly arrived, low-income, Spanish-speaking immigrants in a city, county, or region feeds the anxieties of native whites (and, in some places, blacks as well) and distorts the overall picture of Hispanic immigration. Places like Yakima may become microcosms of Huntington’s vision of a bifurcated America if the flow of immigrants continues to outstrip the capacity of local communities to adapt, not only economically, but psychologically as well. At the turn of the twentieth century, America faced a profound crisis of identity. Streams of Europeans who didn’t look, sound, or behave like Americans crowded into chaotic city neighborhoods and took on low-paying, often dangerous jobs. While industrialists profited, a growing clamor of anti-immigrant voices accused foreigners of lowering wages, threatening the social order, and undermining the country’s racial standards. The subsequent story of European assimilation offers a message of hope and caution for contemporary times. Between the 1920s and the 1970s the mainstream expanded to absorb new elements. The boundaries of “otherness” shifted far enough so that Italian-Americans could afford to rediscover their “ethnic roots” from their secure position as fully “white” Americans. Freelance writer Ashley Pettus ’87 lives in Cambridge.